Email blasts are a popular option for consumer brands looking to market a new sale — and for good reason. Email marketing is an efficient way to communicate with brand-loyal consumers. Unfortunately, the typical 9-to-5er receives about 121 emails a day, making it increasingly difficult for brands to stand out. So what’s a B2C email marketing professional to do? You’ve heard this before but tailoring your messages to connect with customers is a good place to start. By that I mean conveying the right language and emotions that will inspire your audience Persado specializes in finding language — and the emotion behind it — that will inspire consumers to engage with marketing messages. Why? 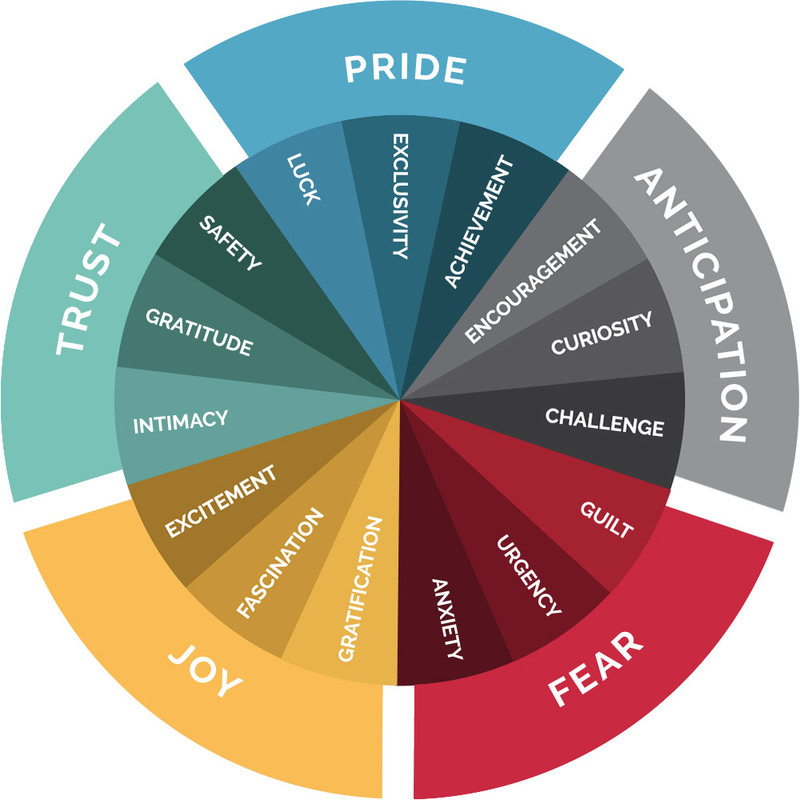 Because the emotions conveyed in a message contribute to 60% of consumer engagement with an email, based on Persado analysis of nearly 50 million marketing messages across 17 industries and 30 countries. “After a major bank introduced a credit card for Millennials designed to inspire emotional connection, use among the segment increased by 70% and new account growth rose by 40%. Unfortunately, when a brand sends out a promotion it can be rather cookie-cutter and impersonal. Just take a look at a very big sale day in the United States that’s coming up: Memorial Day. It can be argued that the gist of the message is relayed to the reader. But in reality, it’s like being in the middle of downtown San Francisco, pulling out a megaphone and informing people about a killer sale just a block away. It’s quick, easy and gets the job done – but how is it building a connection with customers? What/how is a brand making them feel? The answers: It’s not and probably not much of anything. Using Persado Predict, an analysis tool used to help clients and prospective clients see which emotions best resonate with their audiences, I found “Memorial Day Sale: Sitewide Savings for All!” would project a negative lift across important B2C industries: Travel & Hotels (-24.94%), Consumer Services (-28.49%), Fashion & Apparel (-12.14%), Retail & eCommerce (-21.30%), and Technology (-9.24%). What gives? There is a changing of the guard when it comes to email. In order to thrive in today’s climate, brands need to rethink the language in marketing messages and become more personable with subscribers. How should one go about that? It’s easier said than done and requires extensive testing to see what an audience responds to best. However, if a marketing team lacks the time and resources to get this done for the company, I’ve outlined three different perspectives that teams can use to become more personal brands today. According to Persado data, this subject line will give retail and eCommerce professionals an 11.57% uplift. The shift is pretty apparent. In just a few words, Persado was able to turn a sale that’s trying to reach anyone and everyone into a sale that’s just right for the person reading this email. Showing exclusivity is another emotion that tends to get good results; roll out the proverbial red carpet for subscribers with language such as “keep it to yourself” or “you’re qualified for.” Those in the technology industry can expect the following subject line to garner a 14.48% uplift. Language is powerful and with just a few words that convey just the right emotion, you can turn a flat B2C email marketing message into something exciting, unique and interesting to your customer. In turn, consumer companies will see higher open and click rates and lower unsubscribe rates. Feel free to A/B test the subject lines that we have come up here, or try to come up with your own referencing our “Wheel of Emotives” that details 12 other emotions below. Tracking emotions and scoring specific words and phrases are obviously very important to us. Just as Spotify is able to tailor personalized playlists according to your listening history, Persado is able to generate messages across all channels, including subject lines, email bodies, landing pages and display ads, that resonate best with your customers. With an average uplift of 49.5% on conversions, businesses cannot afford to miss out on greater value. If you’d like to go more in-depth on just how we are able to track B2C email marketing messages and make them work for your business, get your hands on it with a 14-day free trial of Pro Email Starter. You can also reach out to Persado for a complimentary demo. Nitu Sidhu is a Persado Campaign Manager. In his role, he is a part of the Enterprise team and uses Persado’s machine-learning technology to create messages making data-driven decisions based on past results. He is able to analyze individual and aggregate campaign results to produce valuable insights about language and formatting performance for Persado clients.